Although the corporate media has not covered it, choosing instead to focus on the university’s fund-raising efforts, the academic and professional staff at the University of Auckland held a one hour strike last week to protest the lack of progress on negotiations for a fair living wage for all staff, especially for those at the lower end of the wage scale. Among other union proposals was the payment of a flat $2.500 increase to everyone covered by the collective contract in lieu of a cost of living increment. In conjunction with a rise in the minimum wage for lower-salaried workers, this would have the greatest positive effect on those struggling to keep afloat in the Auckland market. University management refuses to negotiate until the budget is decided next month or in November. This runs contrary to traditional practice where pay for academic and professional staff is negotiated prior to the budget being fixed. It follows on more than a decade of erosion of collective benefits for university personnel and the slow but seemingly inexorable weakening of the Tertiary Education Union (TEU) as a bargaining agent at the University of Auckland. The one hour lunchtime strike was well attended, although not massive in size. Shortly after 12:45 the director of Human Resources, a despicable cur if there ever was one, sent out a group email to TEU members advising them that their pay would be docked for the one hour they were on strike. He went on to request confirmation from the recipient that s/he was indeed on strike so that their pay could be deducted. There followed a blizzard of emails in response. I am on the TEU mailing list so I got to read them all. Other than one person, all were critical of the university’s approach to employment relations. What stood out were the dozens of stories about countless overtime hours worked with no pay (the academic standard contract is for 37.5 hours per week), the abysmal lack of morale and trust in management amongst staff, and the psychological, emotional and physical toll the stress of working at the UA was taking on its staff. The stories were sad and many gut-wrenching. These stories came from professors, lecturers, IT specialists, counsellors, librarians, tutors, administrative support staff–you name it, they had something to say. Some people asked how the deduction would work since they were not on an hourly wage. Others pointed out that they were on leave but would gladly see their pay deducted in solidarity with those who attended the strike. Many pointed out that they were at their offices during lunch hour working out of loyalty to students and colleagues but would gladly have their pay docked in solidarity with the strikers. Some suggested that the deducted pay should go to charity, at least until it was pointed out to them that the university is a registered charity and the “donations” could well go into the VC’s pocket or as bonuses to his management team members (the VC is the highest paid public servant in NZ and the senior management team all make in excess of NZ$150K/year). What became clear from the responses is that behind the facade of the University of Auckland being a “world class” university there is a deeply dishonest and unethical management that is seeking to destroy the TEU Auckland branch and thereby further subjugate its staff to its academic Taylorist precepts. I have written about this before, so no need here to reiterate what it entails. The bottom line is that the University is being hollowed out at its core, in a workplace where academics and academic support staff are reduced to time card punching and asking permission to use the loo while the ranks of middle and upper management bean counters proliferate like rats. I have been critical of the TEU in the past for valuing wage increases over workplace control (including in the classroom, where there is increasing interference by middle level managers with no teaching experience). I always through that it was a bad idea to trade off regular wage increases for workplace control, which extends to promotion and research leave policy. But what is done is done and now the university management is in the final stages of its assault on the union. As a former TEU member and academic staff member at the University of Auckland, I want to add my support to your efforts to restore the university to its former position as a fair and equitable workplace. Unfortunately, having dealt with Mr. Phipps as well as other management lackeys at close range, I believe that yours will be an uphill battle. Their objective is to break the union so that with a few exceptions you will eventually be subject to precarious individual, often part time contracts and thereby will be more easily exploited. The trend is already apparent and the situation is worse for junior staff and those not considered to be “stars.” Given the tight academic labour market and the already low union density amongst professional and academic staff (particularly the latter), it will be difficult to individually resist this project if the TEU is further undermined as a collective bargaining agent. Mr. McCutcheon was a successful union-buster in his life before being appointed VC. Nothing in his tenure at UA suggests that he has moderated his views on the utility of collective agents, and the tone of Mr. Phipps’s suspension notice is a reflection of that. It should not be forgotten that this management team at UA is not known for its honesty or fairness when it comes to employment relations. “Good faith” is not part of their vocabulary. Many of you will know of the efforts by the SMT to offer financial incentives to senior academics to either quit or not join the union. You will have seen the replacement of departing permanent full time staff with part time hires. Given that there are academics who support or go along with the VC’s approach for self-serving reasons, the struggle to return civility and fairness to employment relations at the UA will be a tough one. I would not be surprised if the many tales of unpaid hours owed to staff outlined in the barrage of email replies to Mr. Phipps’s suspension notice will be seen by the VC and his minions as a sign that their Taylorist approach to academia is working just fine. They need to be disabused of that notion. The key to defeating the academic Taylorists is to assiduously defend and increase union membership and to strictly and unwaveringly adhere to any calls for direct action such as labour service withdrawals (be it strikes, slow downs or work-to-rule). The call for a living wage and fair pay for professional (non-academic) staff is a step in the right direction. However, much ground has already been lost in terms of workplace control, academic freedom, promotion and leave, so the time to regain some measure of balance in the employment relationship is rapidly disappearing. The nature and timing of the direct actions to be taken henceforth in defence of the union and its members will be decisive, and must receive unanimous support..
You should not expect favourable media treatment. Today’s editorial in the Herald about the University’s fundraising is indicative of the pro-management bias of the for-profit news outlets. A concerted PR campaign will be required to counter-balance the view, propagated by the SMT, that all is well at the university and that if anything, academics have things easy when compared to other wage earners.The public needs to hear the stories told in your emails to Mr. Phipps. There comes a time when people can be pushed only so far. Perhaps that time has come for the TEU Auckland branch and its members. Although I no longer belong to the academic community, I understand your struggle and deeply empathise with it. I wish you the best of luck and success in staving off the managerial offensive. I can only hope that if the union does make a stand, that it not be its final one. Crowdsourcing opportunity: The 5th Eye. I had the opportunity some time go to be interviewed by the one of the director/producers of the documentary “Operation 8” for a forthcoming film about the GCSB and its role in the 5 Eyes signal intelligence network. These good people are part of the grassroots network that attempts to keep those in power accountable to the folk they supposedly serve, and while I may not agree with them on a number of issues I have no doubts about their sincerity, commitment and interest in the common good. In order to finish the new documentary, titled “The 5th Eye,” there is a crowdsourcing effort underway that is well worth supporting. The details are here. Besides information about donating, there is a short video trailer included on the page as well as updates and other valuable information. By all means check it out and help this film on its way to fruition. If you support truly independent film-making in Aotearoa, this is an excellent opportunity to not only talk the talk, but to walk the walk. 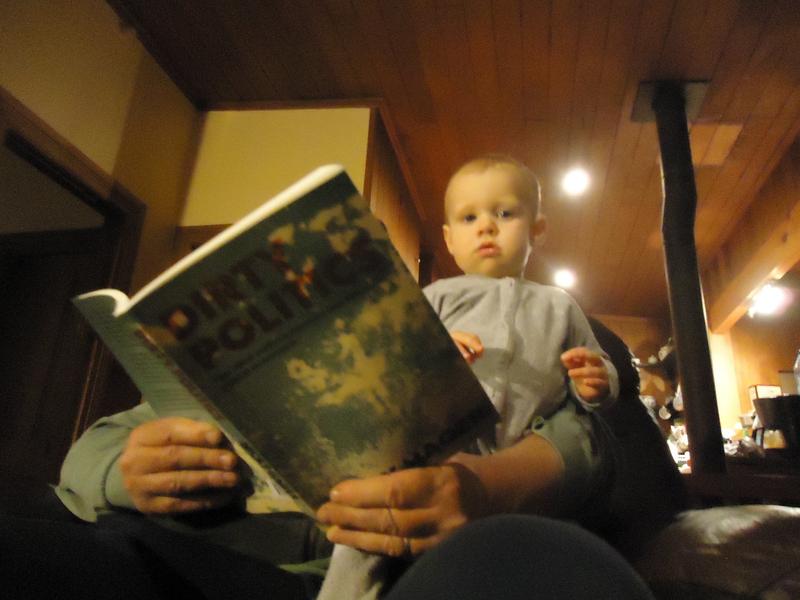 Here at KP we believe that it is never too early to get the kids thinking about politics. In 2007 a certain university lecturer, fed up with the managerial push to admit sub-standard and unqualified foreign students in pursuit of revenue, with the resultant pressure placed on lecturers to pass these students regardless of their performance, wrote a rude email to one such student who had failed to deliver a essay on time and who used a tired excuse of family death to justify the late submission. Although it was later proven that no evidence of any death was offered to any university authority and that there were mitigating factors surrounding the intemperate email, the lecturer was sacked for serious misconduct after selected contents of the email exchange with the student were made public by some of her associates (in violation of university confidentiality policy regarding emails). The dismissal was later found to be unjustified and some monetary reparations were made, but after 25 years of involvement in university teaching and research in several countries (a rarity in NZ), the lecturer never worked in NZ academia again in spite of several applications for NZ university jobs and a very strong record of teaching, research, fellowships and community outreach, especially when compared to NZ peers. I recount this sorry tale because the real crime committed by this lecturer was to challenge prior to the fact, then jeopardize with his email the revenue streams provided to NZ universities by foreign students willing to pay full fees of 20K or more but who often had no qualifications in their chosen field of study or who could not speak or write comprehensible english (as was the case with the student in question). This began long before National became government, but is now said to be worse because of twenty percent cuts in public spending on tertiary education. The quest for foreign fees is such that when the same ex-lecturer was suggested some time later as a potential member of a foreign area focused business board, government and education officials purportedly objected on the grounds that his presence could disrupt recently-signed educational agreements between NZ and several countries in that region (this, in spite of his never having had an issue with students from that region and having significant visibility in academic fields relevant to it). Such is the obsession with using foreign students as revenue generators. The trouble is that obsession has led to a gross lowering of academic standards for admission, passing and graduation of foreign fees paying students. This has had unpleasant results. Long before National became government, instances of plagarism and bogus excuses for failure to complete course requirements on the part of foreign students well versed in how to abuse staff pastoral care responsibilities was already a thorn in the side of many lecturers, particularly those concerned about the quality of degrees and the well-being of students who worked hard to meet requirements. Managerial pressure to allow sub-standard students to pass is reflected in performance reviews and promotion criteria. The steady erosion of academic union influence eased the way for imposition of managerial edicts focused on quantity rather than quality of incoming students and graduates, to which were added academic restructuring projects that eliminated departments and courses deemed irrelevant to business or incompatible with profit-making. Given increased academic job uncertainties in such environments, lecturers feel compelled to toe the managerial line, particularly in light of that ex-lecturer’s well publicized experience. The overall impact has been to devalue the reputation of many NZ university departments and programs while opening up a pandora’s box of predictable as well as unintended consequences. One manifestation of the downside of the push to put high fees-paying foreign bums in seats has gone commercial: institutionalized ghost writing and student identity impersonation on behalf of Chinese students enrolled in NZ tertiary institutions. Some good student stories follow on the subject. This situation has been going on for over a decade and has been the subject of repeated internal and public complaints (for example, public disclosure about the lack of security vetting of Pakistani and Saudi students seeking degrees in chemistry, chemical engineering and physics, or the well-reported use of Chinese students by PRC intelligence). The government and higher education institutions have been repeatedly warned about the dodgy side of foreign student admissions but have done nothing prior to media publication of the details. I am not surprised by this commercialized academic cheating because it fills a market niche, and that niche was created by those who thought that NZ higher education instruction was a tradable export commodity for non-English speakers regardless of their cultural context. But with market opening comes consumer expectations, and under the current NZ tertiary foreign education model the expectation from foreign student consumers is to receive a first world-style degree by buying third world practical and ethical standards. Like in so many other policy areas, unprincipled opportunity-takers on both sides of the process have benefitted at the expense of the common good. After all, and revenue-generation aside, encouraging dishonesty in any endeavour is bound to be deleterious over the long term. At the Dim-Post, a searing explanation of how class-size dogma works in the real world, by a teacher. He or she describes The Dumb Class of 15, who struggle with the assistance of their teachers to barely pass; and The Smart Class of 30, who are underresourced and consequently underperform, but pass because they’re, well, smart. And then Treasury looks at the data. No word on what happens to The Average Class, who have neither the advantage of adequate teaching resources, nor “smarts”. But clearly, it’s all the fault of the teachers. They’re messing with the Natural Order Of Things. By wasting so much resource on The Dumb Kids who are never going to amount to anything anyway, they disadvantage The Smart Kids, preventing them from realising their potential. Those Smart Kids are essentially being forced to subsidise the underclass — in their childhood as it will inevitably be in their adulthood, supporting the unproductive bludgers all around them. So no sympathy for teachers. If they would just let The Dumb Kids fail, as the laws of nature and the market intended, The Smart Kids would perform to their full ability, soon enough we’d have all the productivity growth we could possibly want, and the government would have plenty of money to afford tax cuts for The Smart Kids’ parents. Since the teachers have sabotaged the education system by trying to tilt the scale in favour of The Dumb Kids, the government really has no choice but to implement a system that reverses that tilt by rewarding excellence, to ensure that the education system performs to operating spec, where The Smart Kids succeed and The Dumb Kids fail. Just as nature, and the market, intended. Edit to add: Phil Sage has obliged us all by making pretty much this exact argument on the square, in comments on the original thread. Thanks, Phil! Since my name was taken in vain in comparison with Margaret Mutu and her recent remarks on immigration, I would like to set the record straight as to why the comparison is false. Margaret Mutu is a racial polemicist who received her professorship as a PC sinecure from an Auckland University administration concerned about placating key constituent groups. She is a second rate rate academic with a third rate publication record espousing fourth rate post-dependency and post-modern subaltern-focused theories. She publishes in obscure journals, mostly without peer review, and in crony academic volumes. 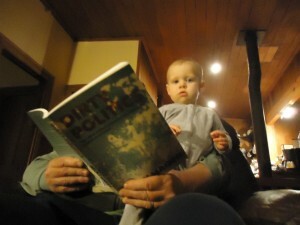 Her books are published by local presses and receive no international mention. She has nothing to say about the bitter employment relation disputes between the Auckland University management and its academic staff, perhaps because she is rumored to have been bought off by the management as part of that silence. She likes to talk S***t about race relations, and believes that it is impossible for non-whites to be racist. She is not the only one to think this–there are people in my old department who share that belief. I was an internationally well respected scholar and teacher who was dismissed for sending a rude email (which was unprofessional, to be sure) to an utterly unqualified and hopeless foreign student who as it turns out invented an excuse to avoid an assignment (as happens often at Auckland). During the time I was at Auckland I published two books and over forty peer reviewed articles, chapters and reviews in major international disciplinary journals. During that time and in spite of the fact that I gave away eight years of seniority to take the Auckland job, I never made it past the Senior Lecturer rank. Now I have been blacklisted and am out of academia. Because I said that the student’s excuse was preying on Western liberal guilt and thus were culturally driven, I was branded a racist. After litigation I was barred from returning to my career in exchange for a small monetary settlement (due to the fact that I could not afford the costs of a court case when the University had spent nearly 1 million NZ dollars keeping me out). Mutu was on the side of those who claimed I was racist even though we have never met and she was aware of my non-compromising and egalitarian atttiude towards students. Her commitment to excellence in education is, to say the least, questionable. I was fired for jeapordising the university’s foreign student revenue stream. Mutu did no so such thing, as she only annoys white people who will send their students to the 82nd ranked university anyway. After all, where are they going to go? To a NZ university ranked 180th or so? (For the record, I taught three years at a university ranked 27th-32nd in annual rankings after my Auckland dismissal, so the place got worse after I left). Needless to say, I have no time for Ms. Mutu and her rants. It offends me that she lumps me–an American raised in South America and who has been involved in struggles that she can only pontificate about–with Afrikkaners with attitudes. But it offends me more that just because she says offensive things, people demand that she be fired. For better or (in this case worse), universities are supposed to be bastions of the offensive, the profane, the unfashionable and even the idiotic, simply because the role of the academe is to foster the clash of ideas and a culture of healthy, if not intense intellectual debate about subjects both esoteric and contemporary. Just because someone’s views are provocative does not mean that they should not be heard, and that is where academia plays a role. So even if I believe that VC Stuart McCutcheon in an unethical and corrupt bully with a lot of skeletons in his closet that need to be exposed and who has an abiding hatred of intellectuals and union members (since he is neither), I applaud his defense of Ms. Mutu’s remarks. She may be offensive, and indeed quite stupid, but that is her right as an academic. It was at the point of her hire that the mistake was made, but once her position was enshrined, however bogus the rationale, she has a right to use that pulpit for public commentary without fear of employment retribution. She may not be exactly the conscience of society, but her role as a polemicist enlives its discourse. Hence, I believe that she should be retained, however overpaid she may be. A short while ago we were treated to the spectacle of a Royal Westminster wedding, a royal tour of Canada and the US, then another lesser royal wedding. The UK and colonial media went crazy with 24/7 coverage of the fairy tale personae involved, and the image conveyed was of stability and continuity in British foundational politics. All was well in the Realm. In the months since the first royal celebration things have grown dimmer. There is the hacking scandal in which politicians and the police appear to be complicit in the illegal tapping of private information by media corporations (primarily but not exclusively Murdoch-owned assets). Added to this sign of elite criminal coziness, now there is a police shooting followed by wildcat riots that represent criminal opportunism rather than outrage about the death itself. The UK media are swamped with reporters, police spokespersons and politicians all chanting in unison about the “mindless thuggery” and criminality of the youth who are widening the scope of violence beyond Tottenham and London itself. The official emphasis on criminality cannot hide a number of things that depict a reality that s a far cry from royal bliss. The youth involved, while criminally opportunistic in their looting and vandalism, are a mix of ethnicities, but all seeming of working class or unemployed status (On TV I actually saw some young Hassidic Jews amongst the rioters in Tottenham). Some may have participated in earlier demonstrations and rioting about restrictions on access to higher education and the cost of basic services. They appear to be coordinated–in yet another tweeter and smart phone fashion–enough to stay a step ahead of the thinly stretched British Police. The fire service is not attending to full alarm fires because of fears for their security and the Police cannot predict when the next smash, burn and grab will happen. The mob is ahead of the Man, and the mob is angry. So far the British government has declined to send in the army even though suggestions have been made that they have very robust anti-riot capabilities in Northern Ireland. The language used to justify that non-action is precious: the government states that it does not deploy such hard assets on British soil. So the riot police in London chase rioters using shields, helmets, horses and batons while the British Army uses armoured personnel carriers, water cannon trucks and live ammunition to keep the peace in Belfast and beyond. Some Imperial habits are hard to break, even though the Empire is long gone and its post-colonial consequences have come home to roost in the capital itself. The hard fact is that the criminality of the rioters is a political act whether or not those involved or the government and corporate media would like to admit it. At a time when the PM, Police Commissioner, Mayor of London, and assorted other leading officials were on vacation in places like Ibiza, Tuscany and Milos, the youth now on riotous display swelter in the housing estates where unemployment, racial separatism, ethnic conflict and everyday economic insecurity are rife. Like their counterparts in any number of less developed countries, they can see up close the material lifestyles and commodity consumption of the royals, celebrities, sportsmen and corporate elites, but do not have (and likely will never have) the means of access to them. Worse yet, they live in a world where the institutional framework is stacked against them, leading to the violent turn inwards when the opportunity presents itself. The Police response is to ask parents to lock up their children. Be it Marx, Luxemburg, Lenin, Guevara, Marighella, Ayman al-Zawahari, or Muqtada al-Sadr, revolutionaries understand the potential of the criminal mass engaged in collective violence. Lumpenproletarians are the street vanguard who, however unconsciously, help to bring social contradictions to a head and expose the weakness of the elite response and the inherent fragility (sclerosis?) of the status quo as a whole. Where instigated or abetted by politically conscious cadres (and there is some evidence of this at play here), their actions are designed to accelerate the organic crisis of the State, in which economic, social and political cleavages overlap and congeal into compound fractures not resolvable by force, reform-mongering or after-the-fact piecemeal pacification. Given the ongoing repercussions of the 2008 recession and the increasingly global debt crisis, and no matter how they are disguised by ethnic and religious division, the structural foundations for a larger class war in the UK may be fixing in place. This does not mean that the British government will not be able to quell the disturbances this time around. But what these riots may be is a dress rehearsal for more to come, perhaps in conjunction with the Olympics next year, where militant planners accelerate the pace, focus and intensity of mass collective violence at a time when the British elite are exposed to global scrutiny and their security resources are already working at full capacity. That raises the issue of whether the official approach to rioters will shift to the more lethal Northern Irish “solution” set, and whether those charged with adopting a more lethal approach will have the ideological conviction to respond in such a way to the actions of fellow citizens rather than foreigners (I note that it will be possible for the official narrative to scapegoat “outsiders” drawn from minority ethnic communities that hold non-Western beliefs, but even that may fail to overcome foot soldier or beat police reluctance to turn their weapons on their own). In any event, we should see the riots for what they really are: an expression of mass subordinate discontent and disaffection, the product of profound alienation, expressed through collective criminal violence operating in seemingly opportunistic and decentralised fashion in the face of official incompetence or lack of will. That, by most reasoning, is a good sign of a pre-revolutionary situation, one that has the potential to become more of an existential threat to the status quo should tactical guidance and coherent ideological justification be given to it. After all, if what we are experiencing is a crisis of capitalism in the liberal democratic world, then it was only a matter of time before superstructural conditions and precipitating events would combine into a violent rejection of the system as given in countries in which the societal contradictions were most apparent. Be it in Greece, in France, in Spain or now in the UK, should these contradictions continue to fester and combine, it will not be Tea Party-type clones that will lead the insurrectionary charge, nor will they be as polite. PS: Before Red Dave and other ideologically militant readers opine that I am belatedly joining their ranks, let me state that I do not see this as the beginning of a global revolution or necessarily of one in the UK. It is a pre-revolutionary moment, which means that the UK government still has the ability to engage in divide-and-conquer, selective application of force and reform-mongering tactics (along the lines I mentioned with regard to the Arab uprisings in an earlier post dedicated to them). There is a fair bit of ground to cover before the Arab Spring gives way to a Red European summer.